Design in Public and AIA Seattle announced SKL their second place winner in their “Displaced: Design for Inclusive Cities” competition! The competition, which received entries from teams from 14 countries representing 7 design disciplines, sought to answer the question “what does a Sanctuary City look like?” Partnering with ReWA’s youth program (Refugee Women’s Alliance), we focused on accessibility, visibility, and connectivity in response to the urban/suburban disparity between white Americans and communities of color. 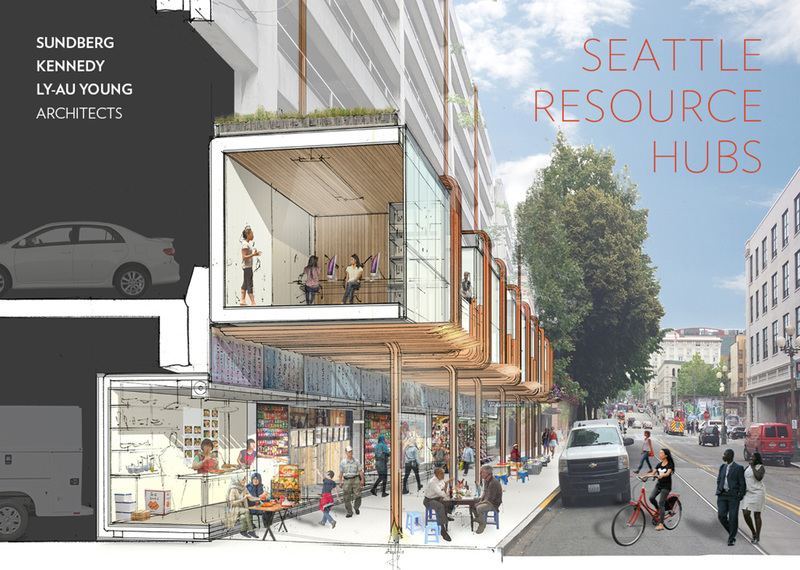 Our proposal, “Seattle Resource Hubs,” envisions archipelago-like community centers built from the dismantled US-Mexico border wall on top of underutilized and inactive urban parking garages. The Hubs are flexible, programmed spaces where refugees can access government agencies, healthcare, education, recreation and legal aid. 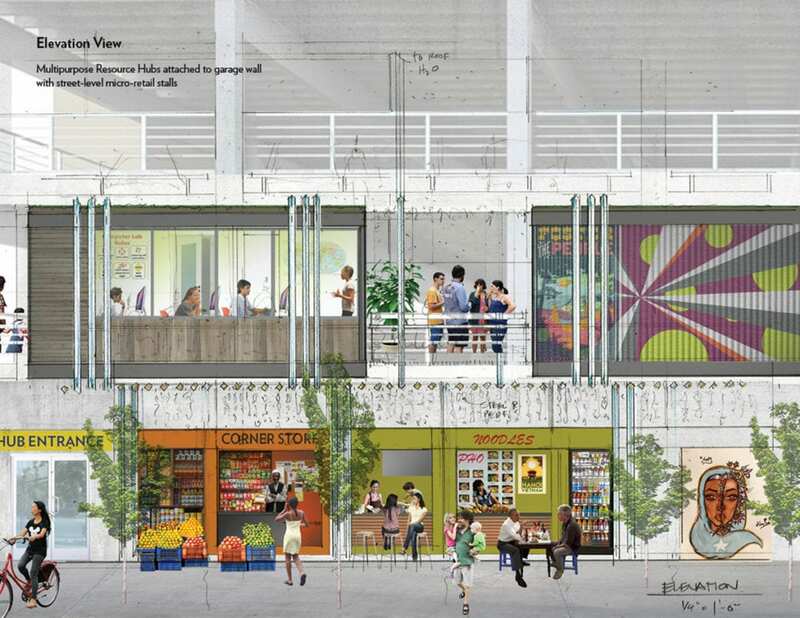 The Hubs could also provide street-level visibility for urban commerce, art, and activity. Our proposal essentially expands on ReWA’s successful programming, but mixes up locations and possibilities. By attaching Hubs to parking garages and transit stations, we harness the existing regional transit network to provide connections, serving refugee and immigrant communities that tend to live beyond the borders of the city. View our submission here.